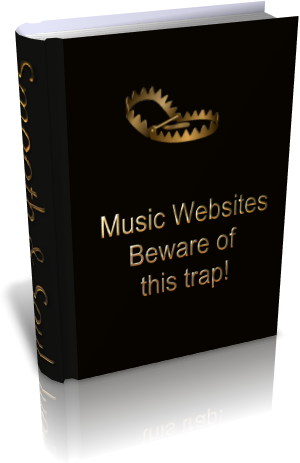 Music Sites Beware This Trap! Even non commercial bona fide websites which present these links or play music by loading the web pages have to pay these fees. According to BMI's non-commercial web site music performance agreement the annual minimum license fee for 2010 is $ 320! Besides BMI there are The American Society of Composers, Authors and Publishers (ASCAP) and Society of European Stage Authors and Composers (Sesac) which are working with the same principle. ASCAP, BMI, and SESAC are the big three when it comes to royalty collection for public performances. A newcomer to the scene is SoundExchange, which governs royalty collection specifically through the medium of internet digital transmission. This company collects and distributes royalties for all artists under the statutory laws, even if the artists are not members ("featured artists") of the company. That is, they monitor and collect royalties via internet transmission first, and then contact the artist in order to distribute the royalties to them, whether featured or non-featured artists (Ken Lamance). If you perform music on your website, there are two performance royalty fees, one for the composition, and one for the recorded performance. Every music web owner should be aware of this fact. To avoid royalty fees you can only perform royalty free music. There are actually quite a few artists that offer their music under the Creative Commons License, which are listed at this website. Do you have a further advice for music website owners? Share it with us.